Dr. Russell D. Briggs was raised in Winter Haven, Florida, and completed his undergraduate studies at Davidson College in North Carolina, where he graduated Phi Beta Kappa and with honors. Dr. Briggs pursued his medical education at the University of Florida College of Medicine, were he graduated in the top one percent of his class and was elected into the prestigious Alpha Omega Alpha Medical Honor Society. While at the University of Florida, Dr. Briggs participated in groundbreaking ear research that earned him research honors at graduation. Dr. Briggs arrived in Texas in 1998 to start his residency training at the University of Texas Medical Branch in Galveston. During his ENT residency, Dr. Briggs was involved in multiple research projects, published numerous articles for various medical journals, and was a guest speaker at ENT national conferences. 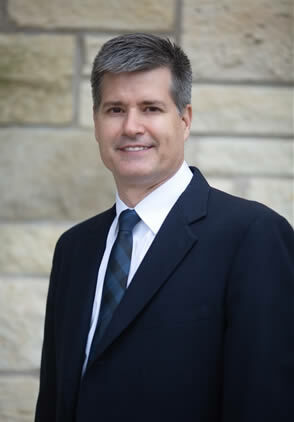 Dr. Briggs moved to Austin in 2006 where he joined Dr. Karen Stierman’s practice. He is a board-certified otolaryngologist and a fellow of the American College of Surgeons (FACS). In addition, Dr. Briggs is a recipient of the Patient's Choice Award, which represents the top 6 percent of physicians nationwide. Dr. Briggs performs a wide variety of both adult and pediatric ENT procedures and is particularly accomplished in balloon sinuplasty, performing the first procedure of this type in Austin more than 10 years ago. In his personal life, Dr. Briggs enjoys traveling and sampling culinary delights throughout the world with his wife, Tina, and four children. He is also an accomplished saltwater fly fisherman and tennis player, having won the Southern Conference tennis title in both singles and doubles while in college.